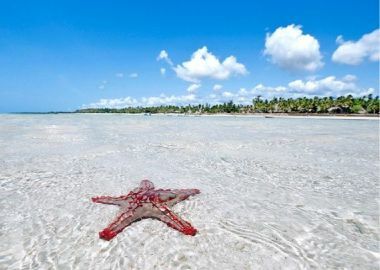 Explore beautiful beach views at the East african coastlines. Africa Starpal Safaris is a tour company operating in Kenya, Tanzania and Uganda ready to make your trip in Africa memorable. We offer the right services to our client(s) who are willing to travel to Africa for holiday or business trips. 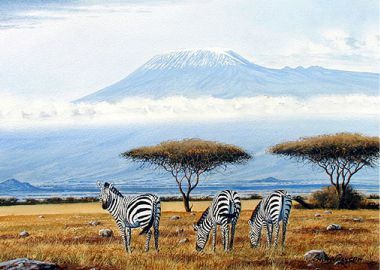 Planning a holiday to Africa the land of wildlife to view them(Wildlife) or relax sunbathing in the coastal beach?,Enjoy some of our fantastic destinations like Kenya Wildlife lodge safaris, Kenya Wildlife camping safaris, Kenya safaris, Tanzania safaris, Kenya and Tanzania wildlife Safaris, lodge and camping safaris both Kenya and Tanzania, beach trips Zanzibar. Masai Mara, Serengeti, Amboseli national parks, Wildlife lodge Masai Mara, Wildebeest migration Kenya Tanzania, Serengeti wildlife, Africa Wildlife Safaris, Kenya Tanzania Trips, Masai Mara Safari, Wildebeest Migration Kenya Wildebeest Migration Safaris, Lodge Holiday Safaris, Camping Holiday Safaris, Big five wildlife Safaris. We have carefully designed our itineraries keeping first priority that our client (s) is looking for good service at affordable price. Our intention is to make your safari experience complete by doing our best to arrange something for you and try to fit you in a plan that fall under your budget, schedule and expectations.Kenya budget in Masai Mara & Amboseli national park are among popular options for visitors who want to explore East Africa wildlife for affordable cost. Camping in temporary tents in Tanzania brings you more nearer to wildlife and nature especially at night. Enjoy sitting around an open fire surrounded by African wild sounds. We normally do two category of tour package-: -Private itinerary where you have your private means of transport, no sharing only you and your group and drive guide,private lodge or camp.Can depart in any day through out the year. 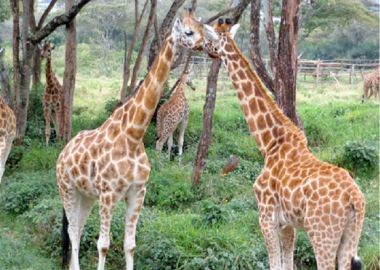 -Joining itinerary is usually cheapest,transport is shared with other safari goers through out the safari and accommodation is on a twin bed bases.Safari depart on specific arranged days. 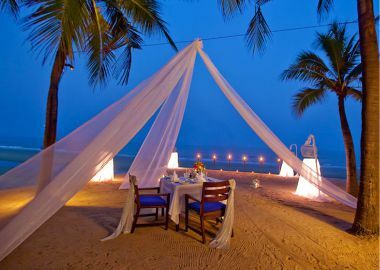 All our itineraries are customized and can be changed as per your wish. 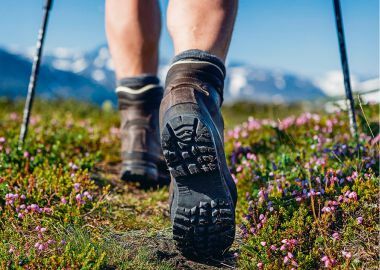 Our cost includes transport,park fee,accommodation(full board),mineral water and any other activities included in the package. For a small group traveling together we do special discount group price. 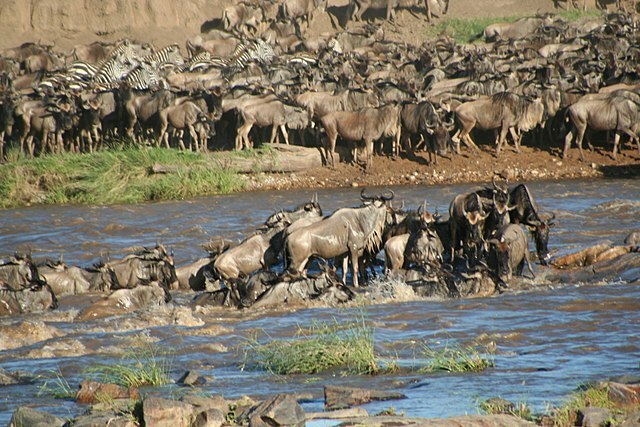 Catch the Seven world wonder of Great Wildebeest Migration from Serengeti Tanzania to great Wildlife destination of Masai Mara live with us.From mid-June to late November more than 1.5 million migrating wildebeests, zebras and antelopes scatter the vast plains of the Masai Mara, transforming the Savannah into a place of dramatic action and a constant struggle for survival. The Migration Season is a time of prosperity for the predators of the Mara, who thrive on the vast amounts of available prey. Our team are professional who assist you through out the planning to the time you end your safari in Africa. Our safaris vehicles are designed to make you comfortable through out the journey. 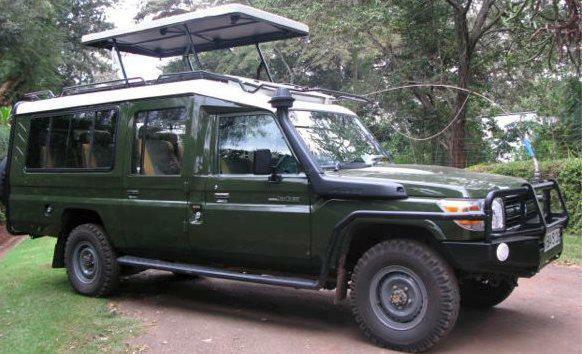 We use safari van and 4×4 land cruisers fitted with window seat and roof hatched and sliding windows. Daily game drives in the most spectacular sight ever visited on Kenya Masai Mara Tanzania Serengeti brings you closer to various wildlife like elephants which can make you enjoy photographing them. Mount Kilimanjaro covering the backdrops of the Amboseli and the Great Rift Valley crossing equator into mount Kenya area. Been one of the finest tour operator in Kenya, Tanzania and Uganda we offer what we promise, no change of program which is usually supported by safari contract signed by client(s) and the company. We insure that the client get the assurance of his/her safari by providing details for the safari by sending accommodation confirmation voucher and any information needed. 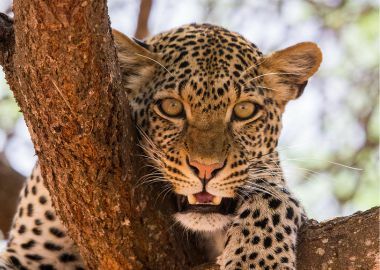 Having operating in East Africa since 2015 we boast ourselves as one fast growing travel agency company with experienced working staff in tourism sector.We design and tailor make safari to suit our client (s) needs. We offer affordable safari and more recommended to most visited and most famous wildlife park and landmarks in East Africa.Kindly you can find more of our available Kenya/Tanzania safaris details itineraries, lodges/camps and price through one time email or direct call. African Adventure beyond Your Imagination.